What are my goals for this space? To provide a common place to support the passionate, determined educators I’ve enjoyed meeting throughout the country, and the world, who continually make a difference in the lives of their students through high quality literacy instruction. Knowledge is power, and it is this thirst for understanding reading research at deep levels that bonds us together. Carol Tolman, Ed.D, was awarded a doctorate in Educational Psychology with a concentration in literacy and has been a consultant at the state, district, and school levels for over 15 years. 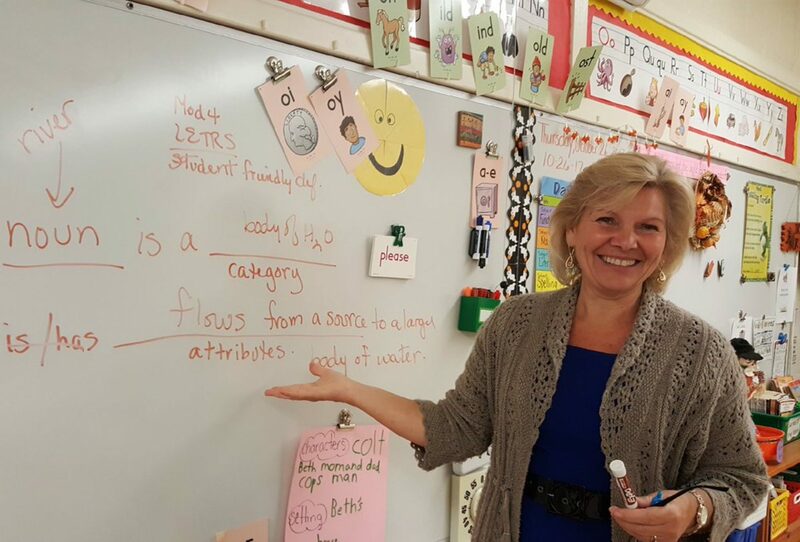 Prior to earning her doctorate, Dr. Tolman was a classroom teacher and Special Educator with more than 25 years of experience in public schools at the elementary and secondary levels. She spent 12 of those years designing and implementing an innovative, exemplary reading clinic for academically challenged middle and high school students. In addition to spearheading many successful, long-term literacy initiatives throughout the country, Dr. Tolman has published Working Smarter, Not Harder: What Teachers of Reading Need to Know and Be Able to Do and The Relationship between Teacher Knowledge and Effective RtI: When we Know Better, we Do Better (IDA Perspectives). Carol is co-author of LETRS (Language Essentials for Teachers of Reading and Spelling) Presenter’s Kits, co-author of LETRS Modules 1, 2nd Edition, co-author of LETRS Module 10, 2nd Edition, and co-author with Dr. Louisa Moats of the LETRS 3rd Edition series of text and on-line supports for teachers of reading and spelling. Dr. Tolman has presided over the LETRS Leadership Board, created LETRS On-Line, and provides LETRS Trainer of Trainer (TOT) workshops to prepare others for the rigorous study involved in becoming a Certified Local LETRS Trainer. Dr. Tolman has presented internationally in China and Australia and is passionate about the importance of empowering teachers with the knowledge necessary to impact change for all children. © Dr. Carol Tolman. All rights reserved.